Yesterday, Tiffany & Co. (TIF) reported lackluster results for the third quarter, reducing annual earnings guidance for the second time in 3-months. Tiffany is a useful barometer for the global luxury consumer; business spans across all developed geographies, across multiple price points, in a variety of retail formats. Tiffany is iconic for its branded diamonds but over the years, product expansion into accessories broadens assortment to more consumers into different income strata. Expansion into luxury watches is even underway with a multi-year marketing budget to build dual-gender brand over the next several years. While American public companies dominate most global sectors, Europe wins in luxury. 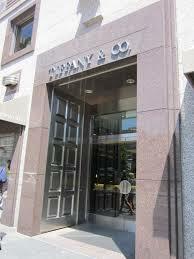 Tiffany is the purest true luxury company America has to offer and a success story over several years. A weaker euro and yen do drive some tourism business into Europe and Japan, particularly as wealthy Chinese tourists shift spending from New York/US to other countries with a favorable exchange rate. But the boon in Europe and Japan has not offset dramatic declines in the US. Tourism business in Hawaii is particularly hard hit. The drag from the strong dollar is likely to depress Tiffany’s business well into 2016. Examples of dollar strength retarding growth will continue looking ahead. Beyond tourism business, the most obvious impact from a strong dollar will be to reduce growth rates for US multinationals in Europe and Japan due to a translation effect (profits translated back to dollars at an unfavorable exchange rate). When sales are reduced in dollar terms, and a portion of the costs are dollar-based, a margin squeeze ensues. Multinationals will often raise prices to offset lower margins, but this feeds back to a sales growth challenge as volume naturally comes under pressure. Exchange rate dynamics bear watching into 2016. The endurance of the current bull market is impressive, but dollar strength during the start of the Fed rate hike cycle will act as a speed limit for growth. Copyright © 2019 Crackerjack Finance. All Rights Reserved.